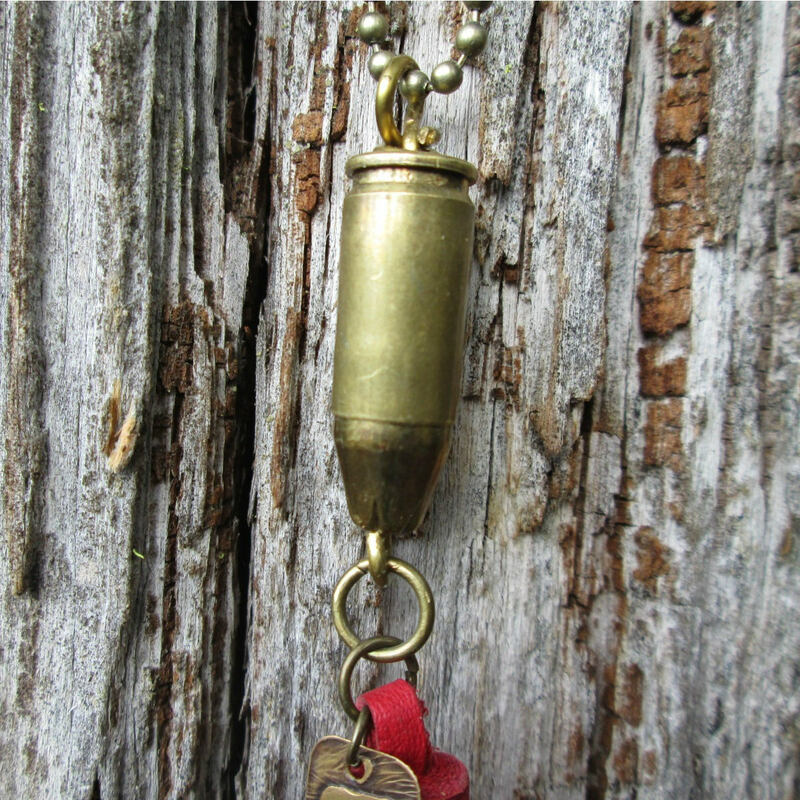 Declare your freedom with this unique 9mm caliber inert brass bullet necklace. 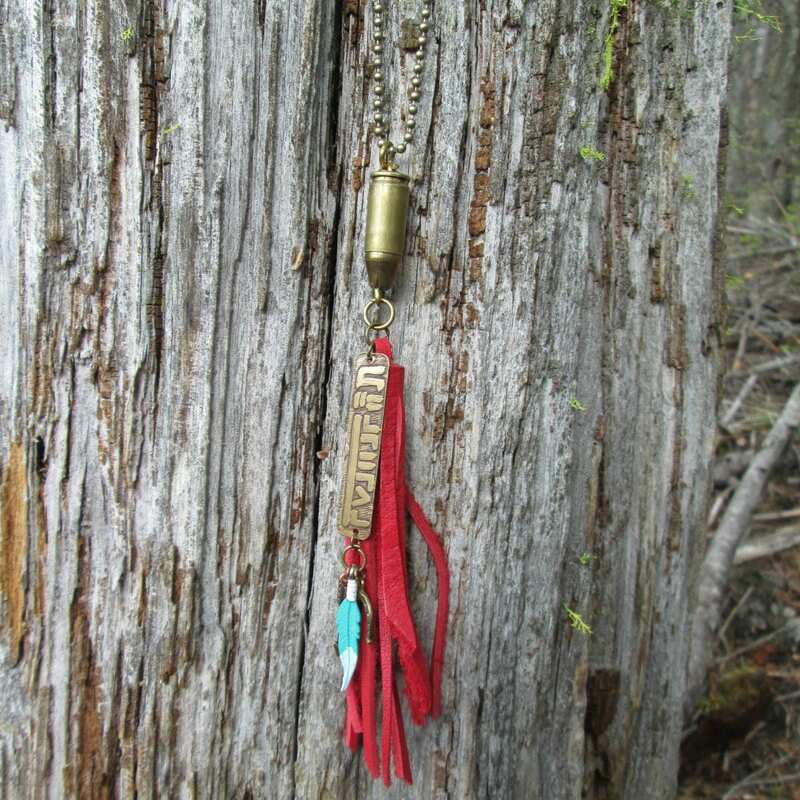 Hanging from a 30 inch antiqued brass ball chain, the bullet has been accented a unique wild mustang brass that has been etched onto a brass plate. 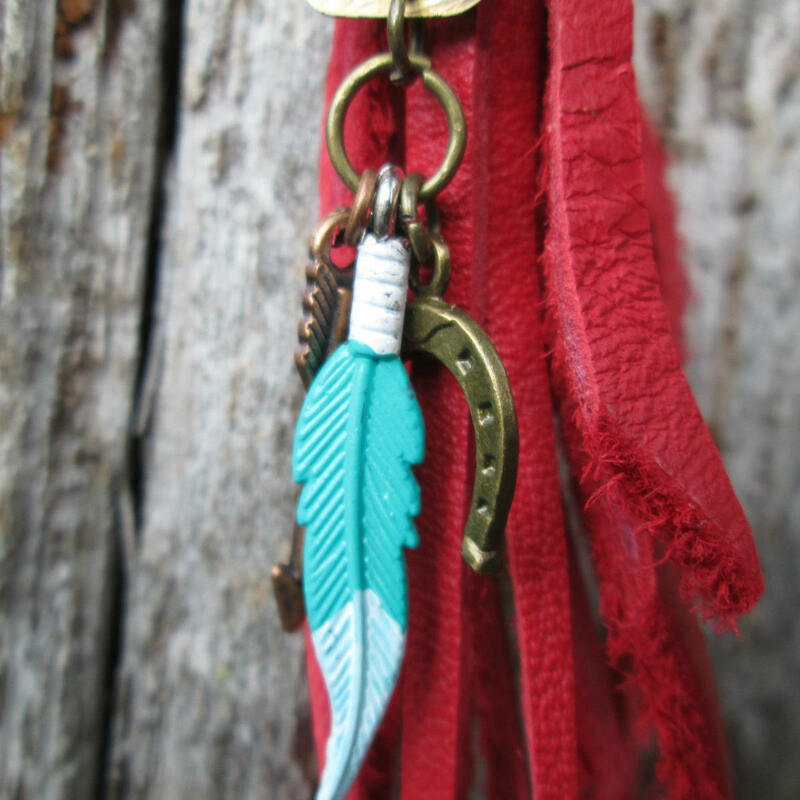 The brand has also been accented with a hand painted feather charm along with a brass horse shoe and copper arrow. 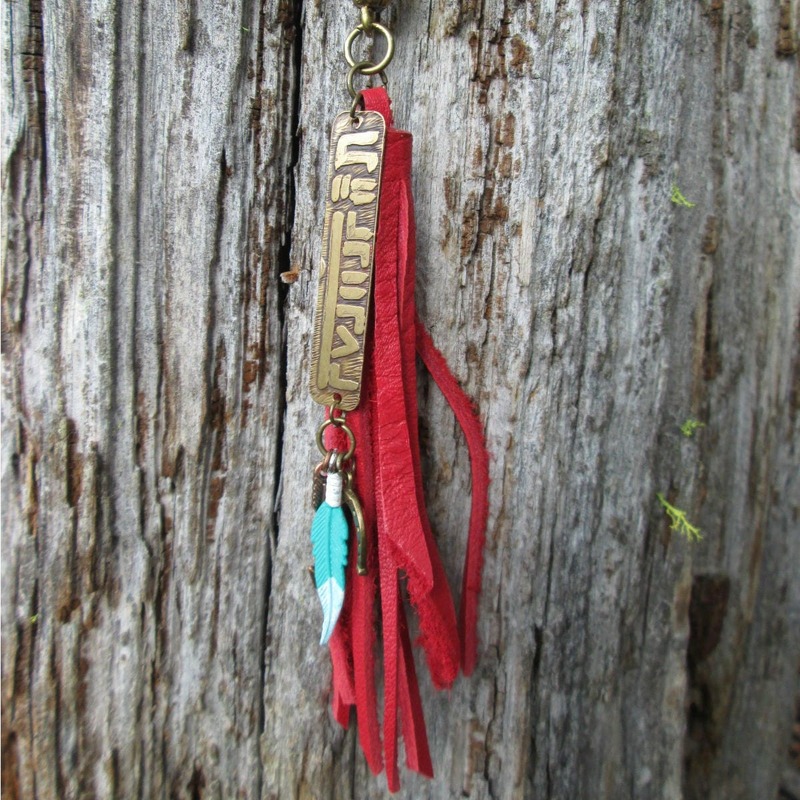 A 5 inch hand cut red leather fringe taseel has been added for a pop of color. 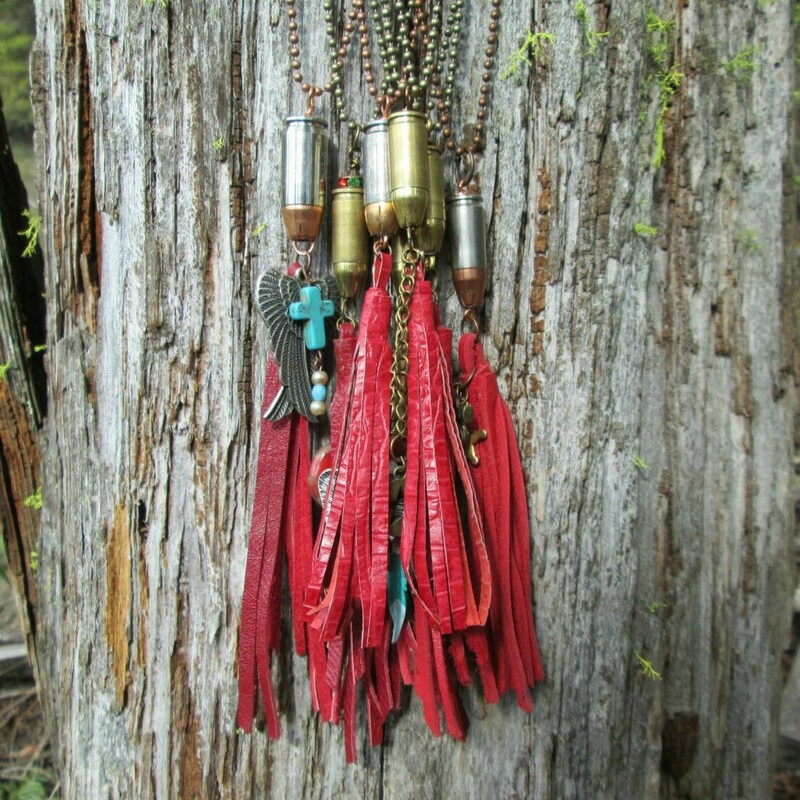 All of our bullet jewelry is crafted from spent bullet casings and carefully cleaned before turning them into unique jewelry. Be sure to visit The Bucking Mare on Instagram, Facebook, Pintrest and Twitter.